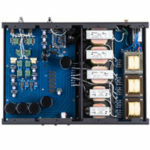 The I60 is a Chinese-assembled, Genesis-designed 60-watt, KT 88-based integrated amp with a passive linestage. It uses a special hand-made, stepped volume attenuator featuring precision-matched resistors. 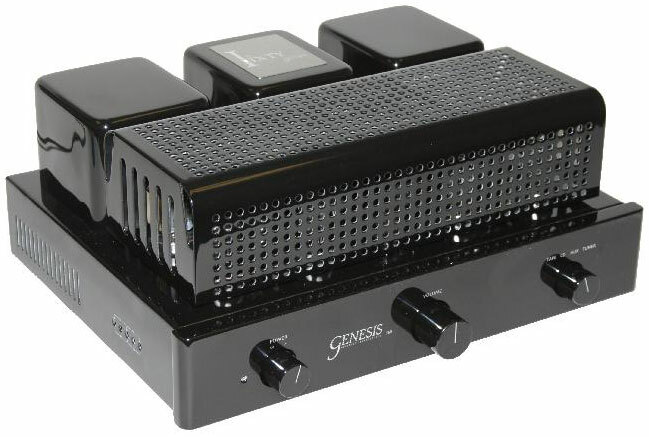 According to the Genesis website, the I60 uses very low negative feedback, with hand-selected and matched components, such as custom designed hand-wound output transformers with high-grade copper and silicon steel, custom-made military-spec paper-in-oil caps, and tantalum-film resistors. The Genesis finish is a very fine, high-gloss automotive-grade black finish. There are three rotary controls on the front panel. First, on the left, is the power. In the center is the volume control, and last on the left is the selector switch for four line sources. All three knobs are well machined and finish off the look of the amp quite nicely. Also, on the left is a blue LED for power indication, which, thank goodness, is not too bright. The rear panel is neatly laid out. It has a receptacle for an IEC power cable, fuse, as well as both 4 and 8 ohm binding posts and four pairs of RCA connectors for the line sources. The bias on the output tubes is set, there is no user-adjustable bias setting for the driver tubes. I was happy that it also had an attractive gloss black tube cage. Let me start by saying it has been a while since I had amp at this price point, or with this much power in my system. It has also been a while since I had an amp that wasn’t pure class A. I also admit it is unfair to compare the I60 to an amp and preamp combination that cost five times for what it does, but that is exactly what the I60 replaced in my system. The first thing that I noticed was that the build quality and looks, in no way, give away that this amp is as affordable as it is. The high gloss black finish is very nice and does not show fingerprints much. Second, when you turn the amp on, it is quite, dead quiet, and – it is robust, powerful, and full of life. Don’t get me wrong. The I60 does not sound as good as my Shindo/WAVAC combo in the reference system. It’s not as nimble or as transparent. Yet the I60 makes beautiful music that is easy to listen to and enjoy for long periods of time, a musicality that, to me, defies the Genesis’ meager price. What does it sound like? Well it sounds big, powerful, robust, and very musical. There is one thing for sure: no one would ever mistake the I60 for a transistor amp. I don’t mean it’s overly warm or slow. I just mean it clearly sounds like a tube amp. It’s liquid, three-dimensional; it gives you a good bit of the magic that can be found in those wonderful little glass bottles. Let’s start with the bass. It was powerful, deep, and yet not overdone at all. It was very dynamic and capable of good scale and grandeur. It has good impact and is tight without taking the life out of the bottom end. The bass is deeper, more powerful, and has more slam than my WAVAC/Shindo combo, although not quite as nimble or quick, and it doesn’t let you hear quite the same level of nuances of the instruments. It doesn’t have as much air and breath; but for one fifth the price, it does all this better than I expected. The midrange of the I60 is resolving with a natural bloom that gives it life. It has good detail combined with a correct tonal balance that keeps it from ever sounding analytical. It also allows the timbre and natural warmth of instruments to come through. The excellent dynamics of the bass continue into the midrange as well. 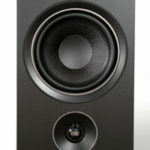 Like the bass, the midrange has a robust, powerful sound. Only in the unfair comparison to the WAVAC/Shindo combo do I hear anything missing in the midrange. Even then it’s sin of omission not commission. The I60 also makes no glaring mistakes in the crucial midrange. It just doesn’t have quite the micro-dynamics. I don’t get drawn into the music emotionally the same way either, but again at one fifth the price it is really praise to compare it to the Wavac/Shindo at all. In fact, most systems I hear with separate amps and preamps at this price point don’t emotionally involve me in the music at all. The I60 does, and that is high praise for a $3500 integrated. The top end is open with lots of detail, but never overly etched or bright. It has a refined kind of detail that allows one to listen to all this information in a relaxed yet involved manner. The top end does not draw attention to itself. Neither does it make me want more sparkle and shimmer, nor does it make me think, “man listen to that shimmer or sparkle”. To me, that’s a real accomplishment for the price. Soundstage and Imaging were very good. The center stage was very stable. Width and depth were better than most integrated amps and, more importantly, it was more than adequate for a realistic listening experience. Unlike several popular transistor integrated amps that cost even more, the I60 never gave you instruments and people just hanging in the air without body or breath. If I’m not making this clear let me put it this way: oftentimes, systems that have people go on and on about how great they image don’t sound much like music to me. They sound like the instruments and voices are floating around in some black velvet space. It’s like a modern painting that shows strings and notes against a bold color, but no instruments or musicians. I want to hear the body of the guitar, I want to hear the floor under the bass, I want to hear the sound of the strings inside a piano. The Genesis I60 doesn’t do this as well as the WAVAC/Shindo combo, but it does it plenty well enough to let me enjoy the musical experience. In conclusion, am I saying it’s a giant killer? Well, that depends on the size of the giant. It’s not as transparent as my WAVAC/Shindo combo. It doesn’t have the incredible micro-dynamics of the reference pair either, but that’s not the point. 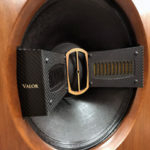 It provides a very musical experience at a very affordable price point. I don’t think there is any doubt that Genesis’ goal with the I60 was to produce an amp good enough to drive their excellent speakers, and at the same time reasonably enough priced that you would have money left over to afford their speakers. I think that, with that goal in mind, the I60 is a roaring success. 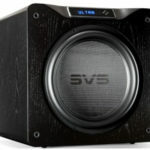 Not only for their speakers, but it’s a good enough amp at a good enough price that it will give most a chance to spend more on the speakers their choice. Thank you for an excellently written review. I should note that while the I60 is Genesis-designed, and essentially Chinese assembled, we put in the final few parts in at the Genesis Seattle factory. This ensures that the Chinese factory that assembles these for us (and sells knock-offs) is not able to copy everything about these amplifiers. Just like there are Rolex imitations out there that almost look and feel exactly like the originals (see www.idealwatches.com as an example!) these knock-offs do not sound anything like the original I60.